I love to look back at photos from over the years and see how much my kids have grown, as well as which things have stayed the same. So, I thought to myself, Why not do the same thing with Halloween photos of the kids over the years? 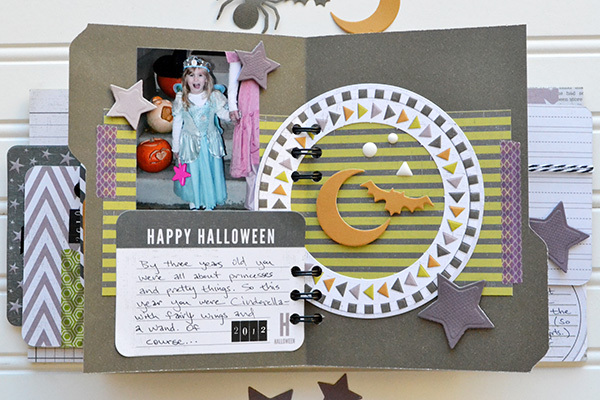 And here is your Halloween scrapbooking tip #2: scrapbook a child's Halloween costumes over the years. I decided to start with my five year old daughter, find all the Halloween costume photos I'd taken since she was a wee baby, and then I made this fun little mini book comparing all those years of her costumes. My album covers are 6x6 pieces of chipboard, and I decided to use the Bewitched collection from last year since the collection has a more youthful feel and colors that coordinate better with my daughter's costumes (read pastels). 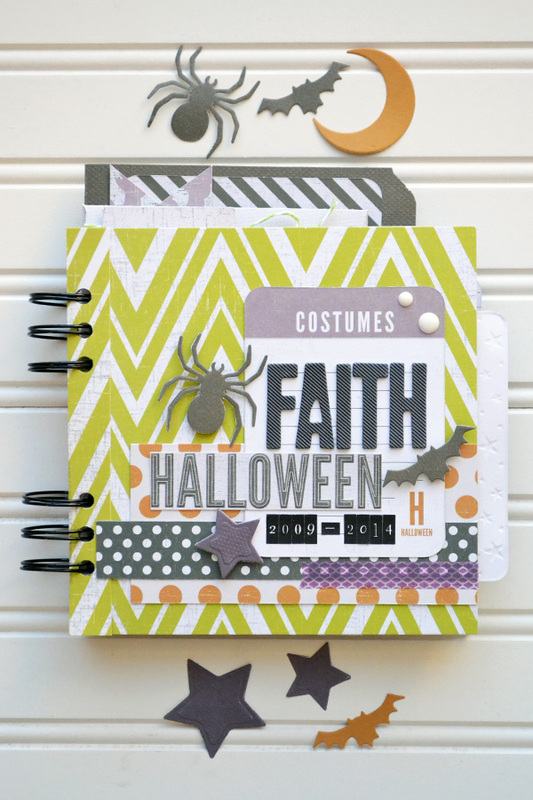 The pages inside the album consist of some 4x6 Bewitched Journaling Cards, a 4x6 envelope I made with my Envelope Punch Board, and a 5x7 mini file folder that I also made with my Envelope Punch Board. 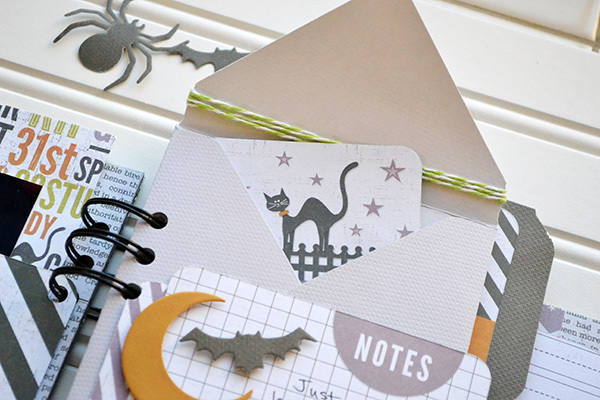 You can find instructions for making mini file folders with your Envelope Punch Board on THIS POST on the We R Memory Keepers blog. There is additional journaling on a card inside the envelope, and I tuck the envelope flap behind the card on the outside to secure it. Here are a few more photos of the inside pages. The mini file folder is a fun element that, along with the envelope, adds an eclectic feel with different size pages and additional layering. To see the rest of the inside pages, and to read more details about the album visit the We R Memory Keepers blog HERE.